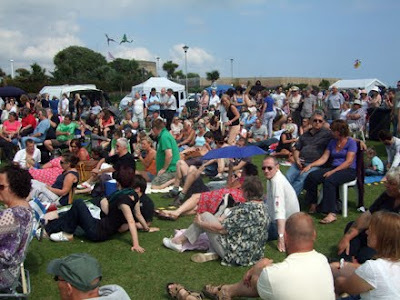 Here are some photos I took at Eastbourne Lammas Festival over the weekend just gone. 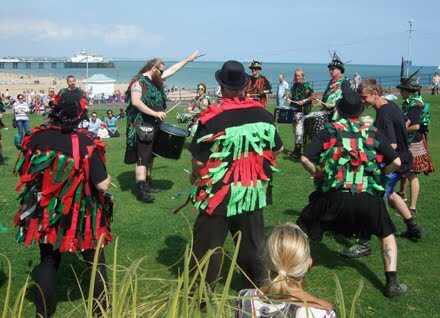 This festival takes place on Eastbourne seafront each summer and offers music and other entertainment as well as stalls, a beer tent and a ritual to celebrate the start of the harvest. What I like about this festival is that it has a really friendly atmosphere and is enjoyed by pagans and non-pagans alike - parents with children, the young and the elderly. 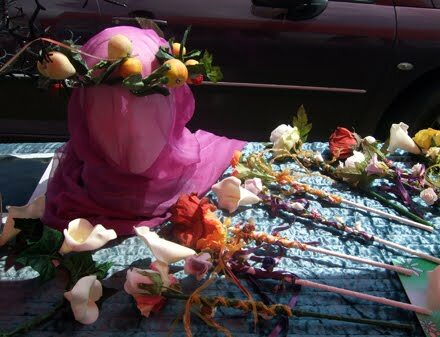 Mind you, I did overhear one witty 20-something say to her boyfriend: "This isn't so much a New Age festival as an old age festival." Well, it is Eastbourne - the town where, or so I am told, more pensioners get given Asbos than teenagers. 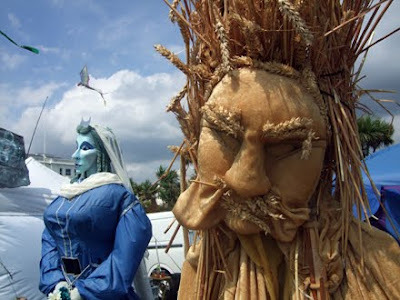 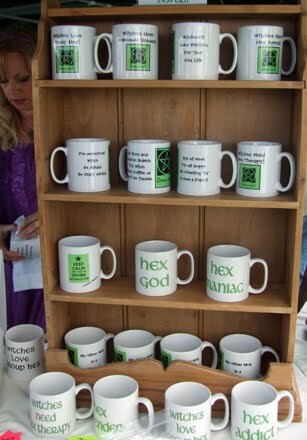 The photo on this post show, from the top: giant effigies of the Lord of the Wheat and the Lady of the Moon; amusing witchy mugs on the Cheeky Witch stall; beautiful garlands and wands on the Fallen Moon stall; the crowd sitting on the grass in front of the music stage; the Pentacle Drummers with Eastbourne Pier in the distance.